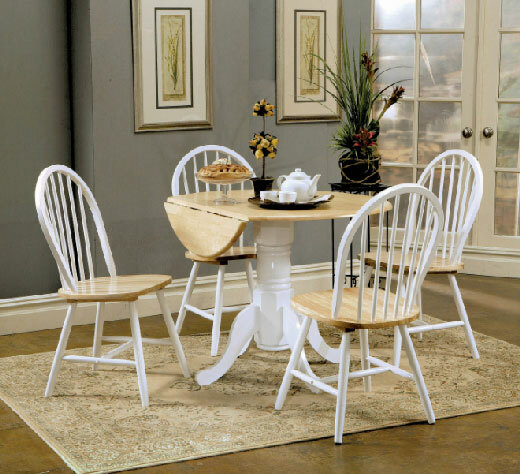 Enjoy this round country-style dinette table with natural brown colored wood and white finish. Two Leaf drop down to increase or decrease tablespace. Adjustable feet for a stable surface. Tabletop edge has a 3/4″ round over.